WesPac Midstream—Vancouver LLC (Proponent) is proposing to construct a marine jetty for berthing and transferring liquefied natural gas (LNG) to marine barges and carriers at Tilbury Island in Delta, BC, on the Fraser River. 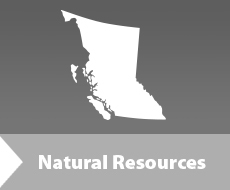 The proposed Project is subject to review under British Columbia’s Environmental Assessment Act (2002) and the Canadian Environmental Assessment Act (2012). The first stage of this process requires the identification of Valued Components to be studied. The Proponent has submitted their proposed list of Valued Components and the Environmental Assessment Office (EAO) invited public feedback on that list. Public comments on the Valued Components were invited between November 20, 2015 and December 21, 2015. Comments were accepted by online form, mail and fax. The intention of seeking public comments is to ensure that all potential effects – environmental, economic, social, heritage and health – that might result from the proposed Project are identified for consideration as part of the assessment process.